LCA is a powerful approach to understanding the full environmental impacts of products and services across the entire lifecycle and value chain of a product or service – from the initial acquisition of raw materials to design, manufacture and through-life operational use, and ultimately to end-of-life disposal and recycling. By taking this broad approach, LCA provides a much improved and more objective means of evaluating and comparing environmental impacts and their associated costs to business than the traditional focus upon in-service use. In the upcoming webinar, Ricardo experts will demonstrate how their flexible approach to LCA can help businesses to unlock value from their products and processes and embed sustainability and security into their supply chains. LCA can reduce the burden of regulatory reporting, reveal ways to enhance environmental credentials and deliver a path to cost savings through continuous efficiency improvements. 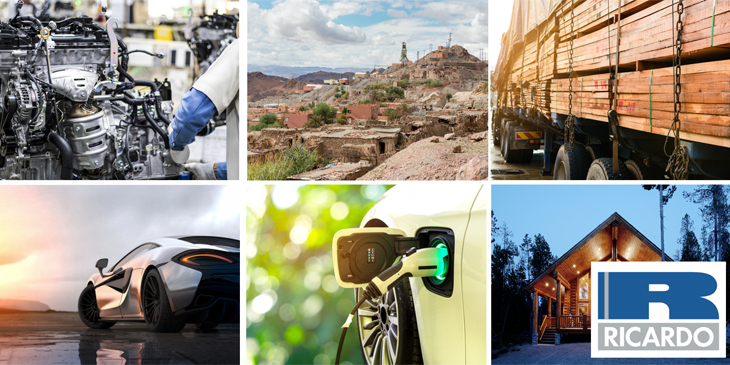 The webinar will draw on Ricardo’s experience in supporting a variety of businesses to achieve their sustainability objectives through LCA – ranging from timber merchants and whisky distilleries to battery developers and automotive manufacturers. Simon Gandy, LCA knowledge leader at Ricardo, said: “There are a number of drivers for businesses to understand and enhance environmental performance, whether it is to meet regulatory reporting requirements, respond to customer demands, or secure a leading position in emerging green markets. Our webinar will show how businesses can use Life Cycle Assessment to deliver these objectives by identifying paths to improved efficiency across the complete life cycle of their products and services."